We’d love your help. 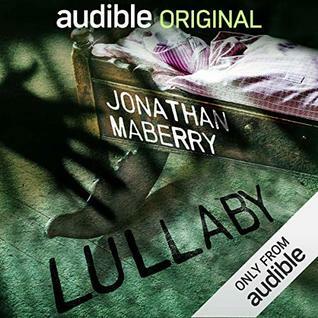 Let us know what’s wrong with this preview of Lullaby by Jonathan Maberry. The fears and horrors of being a new parent take on a shocking dimension in in this heart-stopping original story, only from Audible. A young married couple, Matt and Gillian have just bought a gorgeous house located next to a lake in the Catskills. They want to escape the hustle and bustle of the city to raise their baby girl, Hope, in relative peace and quiet. When night The fears and horrors of being a new parent take on a shocking dimension in in this heart-stopping original story, only from Audible. A young married couple, Matt and Gillian have just bought a gorgeous house located next to a lake in the Catskills. They want to escape the hustle and bustle of the city to raise their baby girl, Hope, in relative peace and quiet. When night falls, however, their dream home becomes a house of nightmares. Matt and Gillian soon learn that darkness takes many forms. And sometimes, darkness is hungry. New York Times best-selling author and Bram Stoker Award winner Jonathan Maberry delivers a haunting Audible Original that will give listeners the Halloween creeps all year round. Scott Brick, the man with the golden voice, perfectly captures the experience of hearing a classic ghost story told around the campfire. This product features adult language and themes. Audible.com has recently started offering subscribers 2 free "Audible Originals" selections each month, from a selection of about a half dozen. They tend to be short (a few hours or less) and don't always follow the format of an "audiobook" - Dennis Kelly's incredible Girls & Boys is a one-woman play, and Esther Perel's Where Should We Begin? is a set of couples-therapy recordings. So far, my experience with them has been hit-or-miss, and this one was a definite miss. It's a short story - v Audible.com has recently started offering subscribers 2 free "Audible Originals" selections each month, from a selection of about a half dozen. They tend to be short (a few hours or less) and don't always follow the format of an "audiobook" - Dennis Kelly's incredible Girls & Boys is a one-woman play, and Esther Perel's Where Should We Begin? is a set of couples-therapy recordings. So far, my experience with them has been hit-or-miss, and this one was a definite miss. It's a short story - very short - about a young couple that moves into an isolated old house. They are warned the house is haunted; they ignore the warning. Everything is fine until they have a baby, at which point a moderately creepy thing happens. Then, the moderately creepy thing reoccurs a few times. At the end, the same moderately creepy thing happens yet again. The story concludes with the protagonists screaming and me being annoyed that I wasted half an hour. A free Audible Original for October 2018. A dark little story about a haunted house. The narration was excellent, (Scott Brick), and the story was okay-it just wasn't dark enough to please this dark heart. Audiobook narrated by Scott Brick 37m An Audible original selection for October, Lullaby was a nice spooky treat but I felt more sadness at the end than terror. This was a pretty good haunted house story. I thought that the narration was very well done and added to the suspense of the story. I found it rather entertaining and well done for a short piece. Well, it's no Bird Box, but it's stylish and creepy. It was an excellent companion on my hellish drive to work, because anything that takes my mind off the utter terror of my commute is a welcomed distraction. 3.5 to be fair, this short story is a spooky one about a hand that rocks a cradle, a dark entity habits their house and seams to be fond with their first born giving this family a thrilling experience, wasn’t that bad for a short story for Halloween and one worthy to tell in front of a camping fire. Short story on Audible Original. The narration was great but the story did not pull me in or feel haunted. If you're a fan of Audible, Scott Brick needs no introduction. For twelve short chapters, his narration is the perfect blend of calm before the storm, leading you to believe there's nothing to fear. Suddenly, his voice is filled with chilling horror and goosebumps cover your arms. I assumed this would be a great October read and chose LULLABY as a late night listen. As the tropical rains poured against our windows, Maberry's frightening story, combined with Brick's brilliant storytelling, had me If you're a fan of Audible, Scott Brick needs no introduction. For twelve short chapters, his narration is the perfect blend of calm before the storm, leading you to believe there's nothing to fear. Suddenly, his voice is filled with chilling horror and goosebumps cover your arms. I assumed this would be a great October read and chose LULLABY as a late night listen. As the tropical rains poured against our windows, Maberry's frightening story, combined with Brick's brilliant storytelling, had me pulling the covers over my head and searching for my husband's warmth beside me in bed. If you're looking for a dark campfire story, look no further. Good listen if you have 30 minutes to kill. This Audible Original story narrated by Scott Brick was one that I'm glad I listened to in the daylight hours. I'm sure I would have been seeing creepy hands in the dark if I had waited until bedtime. At one point, I was whispering outloud, "don't go there, please don't go there!". Maberry went there. Scott Brick was brilliant as always! This was a good spooky tale just in time for Halloween. Meh... It was short, it was free but it offered nothing new and made no impact. Entirely predictable haunted house story, but still very enjoyable. The author does a fine job of creating the spooky atmosphere and mood and imagery, even if the plot and characters were a little thin. I think Scott Brick's excellent narration elevates it. Audiobook short story, free for download as part of their new 2 freebies/month Audible Originals perks for members. I suppose this was a decent little short short that was maybe a wee too short. The narrator did a great job and the story would have suffered without it. Ended up being just ok.
A quick really creepy great read! One of the free books from Audible this month. I haven't read anything from the author before, and now I'm not sure I will. This short was like a collection of cliche expresions and descriptions, which ended up making me roll my eyes a lot. I also had trouble keeping up with the timeline. Not the story arc, that was really simple and not really surprising at all — part of that was the narrator. Talking in a calm voice when nothing happened and then a "creepy" voice when he started a chapter wher One of the free books from Audible this month. I also had trouble keeping up with the timeline. Not the story arc, that was really simple and not really surprising at all — part of that was the narrator. Talking in a calm voice when nothing happened and then a "creepy" voice when he started a chapter where something scary was going to happen, spoiling it — but I'm not sure over what timespan it used, as a baby usually don't start laughing before 3—6 months, but it was said the story started when it was maybe a week old? This was one of the free Audible originals for the month of October. The premise sounded interesting, but it wasn't terribly engaging. Despite the short length, I found myself tuning out quite a bit. It wasn't frightening, disturbing, or really successful in evoking any emotion in me whatsoever. Probably would have chosen something else if given the chance. 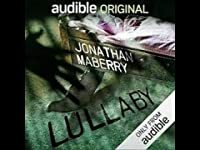 One of Audible's new Audible Originals, this is an okay ghost story by horror author Jonathan Maberry. I've read a bit of Maberry's stuff before and thought it was okay, but it didn't blow me away, and that's how I felt about this haunted house story. A couple of new parents find a beautiful, secluded house in the Catskills which the realtor has to disclose to them is "haunted" (only because there's this silly law requiring disclosure about hauntings, hahahah) which is why it's priced far below One of Audible's new Audible Originals, this is an okay ghost story by horror author Jonathan Maberry. I've read a bit of Maberry's stuff before and thought it was okay, but it didn't blow me away, and that's how I felt about this haunted house story. A couple of new parents find a beautiful, secluded house in the Catskills which the realtor has to disclose to them is "haunted" (only because there's this silly law requiring disclosure about hauntings, hahahah) which is why it's priced far below market value. Well, who could resist a deal like that? This review has been hidden because it contains spoilers. To view it, click here. A haunted house story that leaves you wanting more. The best part about this was Chapter 3 - Maberry's description of the elements and terrors of the night slowly creeping into the house was exquisite. Otherwise, it is simply not enough..I understand some of that is formatting, but it comes across as major plot holes. 1) Hope seems to be the only target of "the cold"? 2) I guess weather (?!) is the ghostly element? 3) Is the ghost taking care of Hope or did it come in with "the cold"? 4) Did the par A haunted house story that leaves you wanting more. The best part about this was Chapter 3 - Maberry's description of the elements and terrors of the night slowly creeping into the house was exquisite. Otherwise, it is simply not enough..I understand some of that is formatting, but it comes across as major plot holes. 4) Did the paranormal activity continue when Gillian and Matt were at the hospital with Hope for 6 weeks? I am sure they didn't stay at the hospital the whole time..so what was going on at the house? 5) Supernatural terror that just doesn't make sense - who is this ghost? Why this house? I need to know! 6) Maybe that is the message? Sometimes bad things (like babies dying) just happen? I liked it! Scott Brick did a great job narrating this short story about a young couple who buys a house they were forewarned was haunted. 3.5 stars. I’m not sure that I was supposed to be scared. The couple seemed irresponsible and silly to me, and the writing reminded me of the RL Stein books my daughter read in middle school. Lame. Glad it was free and under an hour long. Maybe I'll go home, churn out a story just like this in an hour, and see if Audible [un]originals will buy it. A haunted house short story for the fall season: a little bit creepy, but not as spooky as I thought it was going to be. I was a little bit surprised that there was a slight tone of sadness thrown in there. There are a couple of questions that I had while listening (why is the house haunted? who is doing the haunting?) but honestly I was just having fun with the story and didn't mind the little plot holes that much. This is, after all, a super-duper-short story. Just have fun with it. EXCELLENTLY A haunted house short story for the fall season: a little bit creepy, but not as spooky as I thought it was going to be. I was a little bit surprised that there was a slight tone of sadness thrown in there. There are a couple of questions that I had while listening (why is the house haunted? who is doing the haunting?) but honestly I was just having fun with the story and didn't mind the little plot holes that much. This is, after all, a super-duper-short story. Just have fun with it. EXCELLENTLY NARRATED by Scott Brick. This review has been hidden because it contains spoilers. To view it, click here. Really short story. Had it's creepy moments, but all in all not very scary. The hand rocking the cradle was creepy, yes. But the parents stayed in the house!! Spooky hand rocking their defenceless baby's crib... they still stayed put. That poor baby went through things it never would have if they'd just left at the first creepy sighting, or even the second one. A short, spooky story which just didn’t do it for me — oh, I was scared by the ending, but I was bored along the way. Audiobook dramatically read by Scott Brick. I felt the ending to be rather weak, but the audiobook was perfectly performed, and it would have been 5* if the very end was tweaked a bit. Uncomfortable and with a creeping sense of... well, coach class dread. I think Lullaby was a bit too short to really reach its full potential, hence the three stars. Far too short, but love the narrator. What a horrifying little story! It was very short, no explanations of hauntings but packed a scary little punch.